Majority of us would love to have more money in our bank accounts at the end of the month after all the bills are paid. The best way to accomplish it is to make small cutbacks throughout our typical spending habits. Zebit wants to help you put your best financial foot forward. Here are a few ways that you can easily save money without it disrupting your whole life. According to a study done in 2016 by the New York Times, American’s spend, on average, 5 hours a day watching television. By turning off your TV you’re not only saving on electricity costs, but you may also end up cutting back on your spending. You could cut the cable cord and save a bunch as well. By not watching TV, you’re not exposing yourself to commercials that may lead to impulse purchases, your snack budget will be cut down, and you’ll have more time to focus on bettering yourself. Remember in our blog titled “Four Ways to Utilize Your Tax Refund” where we highlighted that one of the best ways to spend your tax refund was on investing in yourself? Well now that you have all this free time by not watching TV, you can put some serious effort into your biggest money-making asset, yourself. Electricity, heating, and AC bills can really add up! 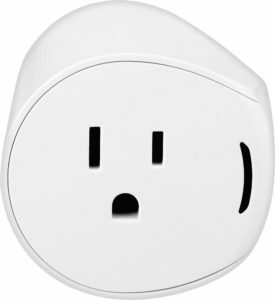 Now, with smart home automation, you can use a smart thermostat or smart plug to save on those high energy bills. These devices are a great way to save money passively. Smart thermostats learn your schedule and tell you how to adjust your heat and cooling in order to ensure energy efficiency. Smart lighting can have a motion sensor or timer so you can control when the lights are on and off. Plus, you don’t have to keep yelling at your household to, “Turn off the lights.” Not only will they save you money, they are also incredibly easy to use. Between thrift stores, consignment shops, garage sales, and Craigslist, you are bound to find exactly what you are looking for at a discounted price. Clothing is often discounted to a few dollars and home décor is sometimes given away for free. Before you head to the store, browse a few resellers that will save you a ton of money. CNBC did a study in 2017 where they found that an average American family spends around $3,000 per year eating out. That’s a savings of $250 per month! While it may be more convenient, you’re losing out on a significant amount of money compared to grocery shopping and dining in. 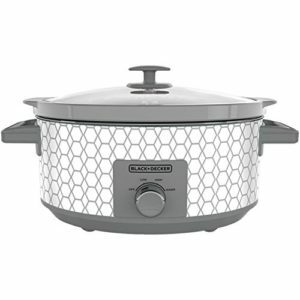 Not to mention that dining in has never been easier thanks to the resurgence of the slow cooker like this Crock-Pot. We’ve all been there, we go a week on a strict budget and what better way to reward ourselves than a dinner and a movie? Turns out, you just spent all the money you saved on one night of fun. Instead, reward yourself with a budgeted account for these types of activities. Once you hit your goal in “fun savings,” you won’t feel guilty or financially unstable for having a fun night out. This goes for stress spending as well; while retail therapy may seem like a great way to destress, try other methods that don’t impact your checkbook such as reading, exercising, taking a nap, or cleaning. 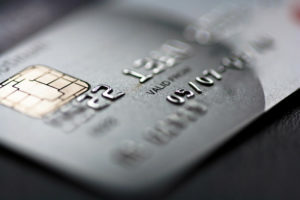 Credit card interest is a major factor in a lot of American households and can make it more difficult to save money. When you don’t pay those credit cards off in full every month, high-interest rates can result in revolving debt. Here at Zebit, we stand by our 0% interest commitment so you know exactly what you’re spending when you make a purchase; never a penny more. These six tips are great ways to help you save, but there are so many other ways to pinch your pennies and stretch a dollar. Let us know some of the ways that you make your money go further!